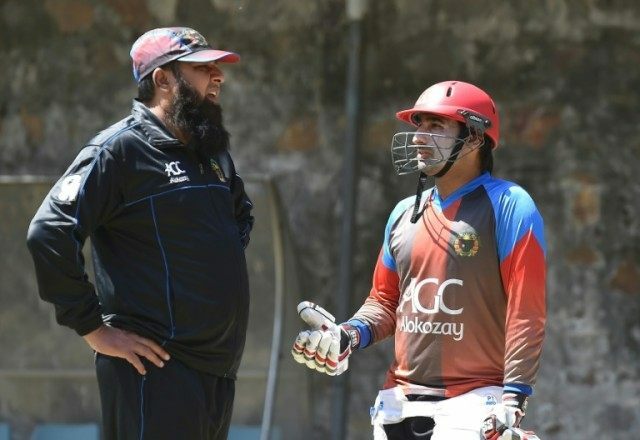 Kabul (AFP) – Pakistan batting great Inzamam-ul-Haq has resigned from his job as Afghanistan coach, the Afghan cricket board said Sunday, and is set to be appointed as the Pakistan Cricket Board’s chief selector. Inzamam guided Afghanistan to the Super 10 stage of the recent World Twenty20 held in India, with the team defeating the mighty West Indies. Afghanistan cricket board spokesman, Farid Hotak, confirmed Inzamam’s resignation. “Today Pakistan Cricket Board Chairman Shahryar Khan called the Afghan cricket board chief, Shafiq Stanikzai, and requested to release the batting great Inzamam-ul-Haq from his contract,” he told AFP. Hotak said Inzamam’s contract was for one year and that he served for several months as coach for the Afghan cricket team. Inzamam played in 378 one-day internationals and 120 Test matches representing his country.